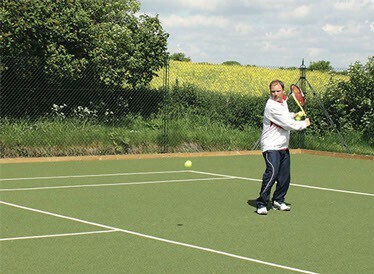 We have developed the Savanna court into the most advanced synthetic tennis surface on the market. 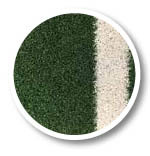 Savanna is a soft and durable tennis surface. Its specialist fibre construction gives increased cushioning underfoot and consistent ball bounce. Savanna is unique to En-Tout-Cas. 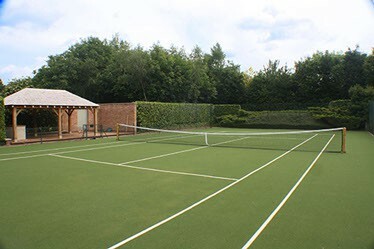 Unlike most modern tennis systems, Savanna is a half sand-filled surface, leaving enough exposed fibre so that users can appreciate its aesthetics. It also offers the benefit of keeping the sand away from the surface of the court. As a result, players stay isolated from the sand and the court plays at a consistent pace whether it is wet or dry. The surface dries very quickly after rain in comparison with the sand filled or sand dressed surfaces. Savanna is stitched much closer than Tenniturf or Sporturf and uses polyethylene rather than polypropylene. It therefore allows the fibres to stand up with much less sand infilling and allows a degree of slide. Savanna gives many of the great play characteristics of Omniclay without the sand at the surface and the need for regular brushing. Drawbacks: Savanna does not grip as much as Omniclay in heavy rain, although it does dry very fast. Occasional brushing, removal of leaves and spraying four times per year with moss killer remains the theme throughout our product range. As part of our commitment to completed projects we offer our own after care and maintenance service, so please feel free to contact us for further information.